Millions Are Hooked on to HQ Trivia, so Is It the Future of Live Entertainment? You may have noticed some of your friends or coworkers pulling out their phones twice a day like clockwork and tune into a sometimes-funny live stream. It’s not the world’s most famous YouTube Channel, Snapchat or Instagram story. It’s HQ, the trivia game that’s all the rage right now. And it’s catapulted the success of QuizUp from a few years ago to become the go-to quiz game on iOS and Android. Just this month, HQ hit a million users. And that’s not just million people downloading the app, but a million people tuning in to play the twice-a-day quiz. But our question is: why exactly are people playing a game, where your chances of winning are so slim? Especially, given the bugs affecting live-play, it’s more often than not just a waste of time! Just to give you a quick background, HQ debuted on iOS in the last quarter of 2017 and became an overnight sensation. Soon after it made its way to Android just in time for New Year’s Eve and 2018. The concept is simple: Two live trivia contests are held daily with a live host asking questions and receiving answers from people across the globe. Get all the questions right, and you win the cash prize on offer. As you tune in to the live stream, you’ll be asked 12 questions, starting with the easy ones. Naturally, they get harder progressively, and if you manage to get all correct, you’ll share the cash prize with others who managed to make it through the end as well. Sounds simple, isn’t it? Well, not really when you have a million other players trying out their luck at the same time. So what makes this game so special that people are ready to drop what they’re doing to frustratingly attempting to win? The idea of opening the app and getting a quick game is quite appealing, to begin with. This short game time is another USP, which means it’s a real quick win-or-lose situation, with nothing at stake for the player. Even if you make it through the entire game, it’ll hardly take about half an hour. That’s less than the time needed to get through a TV episode. And then lastly, there’s cash prize. I mean who doesn’t want some cash? So It’s All About the Money? To be very honest, I am hooked on to this game and so were hundreds of thousands of others who were playing with me this very morning. Even if I couldn’t make it through all the twelve questions, I sat through the entire game just to see the kind of questions being asked, and also to gain some knowledge on what’s happening around me. That’s exactly the thing that’s bothering me. If the winners at the end of the game number in double-digits, why exactly are millions tuning in? Well, it actually differs from person-to-person. Some say HQ represents the future of interactive gaming, live streaming and broadcast quiz show all rolled into one. But for others like me, it’s just the competitive nature of the game. It’s not about the cash. Not like I am going to make a living out of this. At this point, I need to beat it somehow. And I suspect many thousands of others also just tune in to see how far they can go, fully knowing they have a very tiny chance of actually winning. Playing HQ is like picking lottery numbers for the smartphone generation, with no money paid up-front. Is it any wonder that it’s attracting people by the millions? But my colleague, on the other hand, is impressed with the format of the game. And then there’s Scott ‘Quiz Daddy‘ Rogowsky, the host who brings the game to life. I mean, imagine HQ without a host. Not that it’s impossible, but it would have been a wishy-washy experience, especially as the hosts keep you going with their banter. There’s a clear connection to stand-up comedy in the way Rogowsky and others host the daily quizzes. The funny scripts, the funnier video interjects, and chat messages flying from around the world make the game a lot more enjoyable. Another great thing is that the questions are not easily ‘Googleable,’ though there are hacks to get around this – but that’s just no fun. The questions test your broader knowledge, as well as your penchant for social media trends and memes. HQ is often like a compendium of the Internet pop-culture. Now that HQ is off to a great start, I am quite excited to see what’s in store for us in the future. HQ as a company already garnered some serious investor and media attention. Recently, the company was also profiled by New York Times, and there have been plenty of VCs who want to enter a into a deal with HQ. But what happens when they run out of money? It may too early to talk about this – after all the company raised around $8 million recently, and are currently pitching to investors with a valuation of around $80-100 million. But it’s worth noting that for now the game is financed entirely by this investment, and it’s ad-free. It is being speculated that the company is exploring an advertising model of some sort as well. Although I don’t want random adverts ruining my game experience, it’s not exactly such a bad idea, especially if advertising-funded quizzes can rope in more prize-money. There are rumors that HQ is looking to host a game with a $1 million jackpot in 2018. On the first day of this year, the prize money was $18,000, so there’s scope for mega lottery days coinciding with ad campaigns. Without ad revenue, offering attractive prize money regularly seems like a dumb idea; they’ll exhaust the runway in no time. It all comes down how founders Rus Yusupov and co-founder Colin Kroll grab the incoming opportunity and take HQ forward. This is the same duo that founded Vine, a short-form video hosting service. 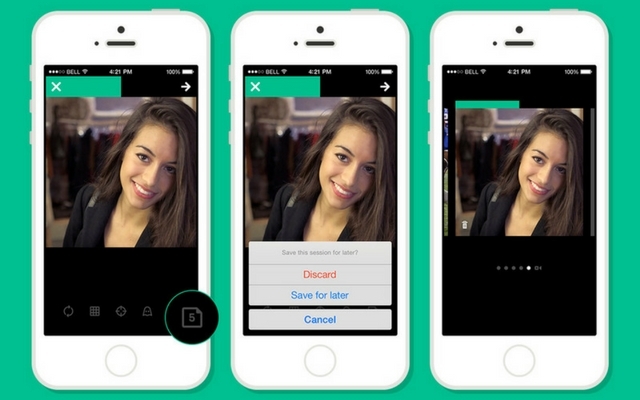 The thing about Vine becoming a short-form video sensation is that it happened almost accidentally. Within weeks after its launch, the app unexpectedly started generating more memes and cultural moments than most apps with twice as many users. In short, Vine’s founders undermined the platform’s potential and ended up getting acquired by Twitter for $30 million. And Twitter, on the other hand, failed to utilize the platform which led to both advertisers and Viners themselves jumping to other platforms like YouTube. For every successful app, there are two phases. One is to attract users, and next is to retain them over time. 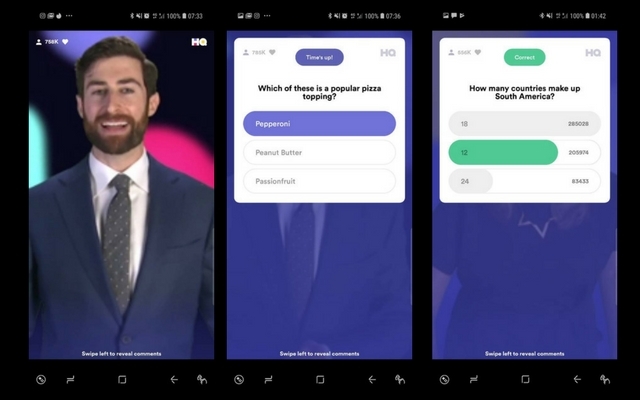 Now that HQ has already attracted over million users to its game show; it remains to be seen how they push their boundaries and make their users tune in for the next game every day. So let us know your thoughts on this? Have you jumped on the HQ hype train and tested your wits in this live trivia game yet? Do let us know by dropping a comment down below.